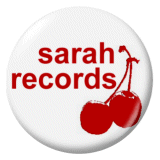 ﻿Just before Christmas I got an e-mail with some sad news… After 12 years, Candle Records, home to so many of my favorite bands from “down under,” is closing up shop on March 31, 2007. Chris Crouch (or Crouchie to those who know him — or don't really know him, but at least talk him into convincing certain bands on his label that it would be a good idea to play a concert in a stranger's backyard in Maryland…) has decided that it's time for a change, a long overdue vacation, and to continue running Polyester Records in Fitzroy — but not a record label. A good record label is like a good restaurant — if you can find one, all the food you sample there is guaranteed to be good because the chef is creative and only chooses the choicest ingredients to create dishes that satisfy his patrons’ palettes. Over the years there have been lots of record labels like that. Labels that are “homes” to like-minded artists. Labels that cater to a certain sound. Labels that reflect a certain geographic location. Labels that exude a certain musical philosophy. Labels that do as much to identify a band’s sound… as the band’s sound itself. Labels that do everything themselves: from the artwork on the record sleeves to filling out on tambourine in the studio during the recording session. Labels that helped define an era. Etc., etc. Obviously I could easily spend a week introducing some of my favorite Sarah recording artists but I'm going to save that for another time. This week I'd like to feature my favorite Candle Record recording artists — many of whom I am indebted to Lori for ordering all the way from Australia and introducing to me on my birthday, Christmas and, whenever else she felt the occasion seemed to warrant it. So on that note, the Happy Medium Song of the Day, from the album Good People's Highway, is “Avril” by Melbourne's very own Ruck Rover. By the way the band's name comes from an infatuation, shared city-wide, with Australian rules football. 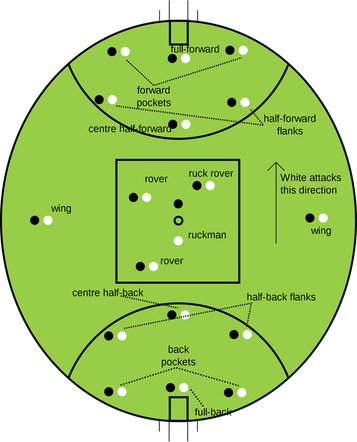 A “ruck rover” is one of the “follower” positions on an Australian rules football field. According the the Wickipedia, “the followers, also known as the on-ball division, consist of three players: a ruckman, a rover, and a ruck rover. They are known as followers because they have traditionally been used as players that follow the ball around the ground as opposed to playing in a set position. The ruck rover’s role is to be directly beneath the flight of the ball when a ruckman taps the ball down, allowing an easy take away, or clearance, from a stoppage.” Whatever the hell that means, right? No surprise then that the band should write a song about a semi-legendary female right arm off-break cricket bowler named Avril Fahey… and it's brilliant! Avril Fahey - first woman to play 150 cricket matches for Western Australia.